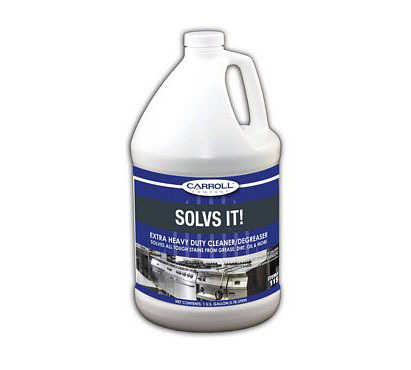 Remove the most difficult greasy and oily soils with this extra heavy duty cleaner/degreaser. Effectively cleans light soils from common surfaces or grease laden soils from industrial equipment and parts. Can be used with pressure washers, automatic scrubbers, mop and bucket, hot or cold soak tanks, or spray and wipe applications. For best results, use as directed. Four 1-gallon containers per case.